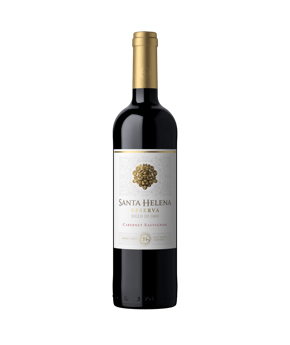 Santa Helena was born in 1942 with a view to exporting. With presence in over 50 markets across five continents, it is an excellent exponent of wines that are typically Chilean and easy-to-drink. During more than 75 years of tradition, many generations have become faithful to the brand for its excellent value for money. This wine is pure tradition: For many years it was a wine designated for the exclusive use of the winery’s board members, with a small, limited distribution for close friends. An expressive, elegant wine, undoubtedly influenced by the historic origins of the Santa Helena winery since 1942. Siglo de Oro, wines born upon golden lands. This range strives for the identity of each grape variety, giving for expressive, direct, fresh and juicy wines. Vinos frescos que reflejan la tipicidad y tradición del Valle Central de Chile. Alpaca wines were created to convey the authenticity of Chilean wines, through fruity, tasty wines and for daily consumption. Inspired by the friendly personality of this charming creature from the Andean highlands, who invites us to delight in its texture and feel the softness of its voluminous body, just like our wines.